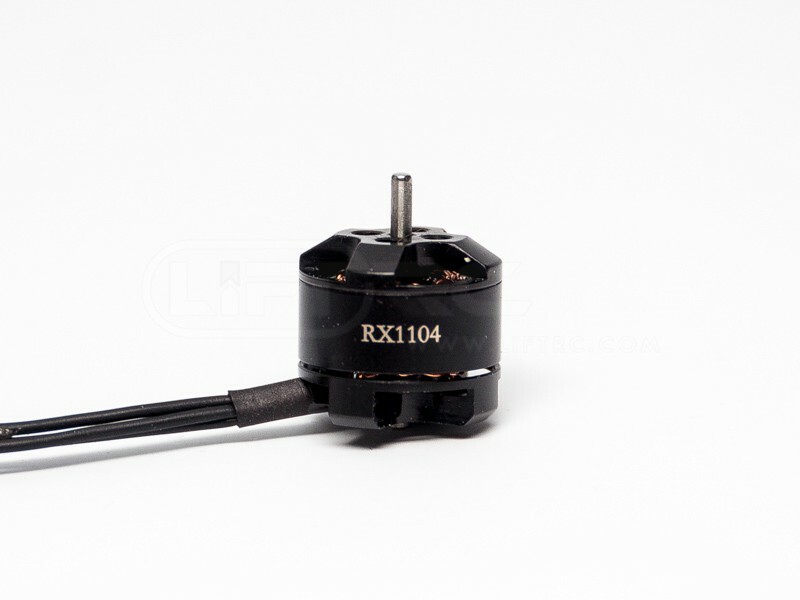 The tiny RX1104 "Gatling" motors are quite simply in a class of their own in regards to performance, size and durability. Now on to their 5th generation, these super efficient powerhouses are capable of generating 110grams of thrust at 2.9A on a 3S powertrain. Weighing in at only a fraction over 5 grams total including motor wires, these motors also come with an optional T-style propeller mounting system that is designed to work with our upcoming RX3020 props to make 4S power feasible, but also with any other propeller that utilizes a 1.5mm shaft. Our frame mounting configuration will be made available to purchasers, meaning you can design your own frames to take advantage of these little beasts. 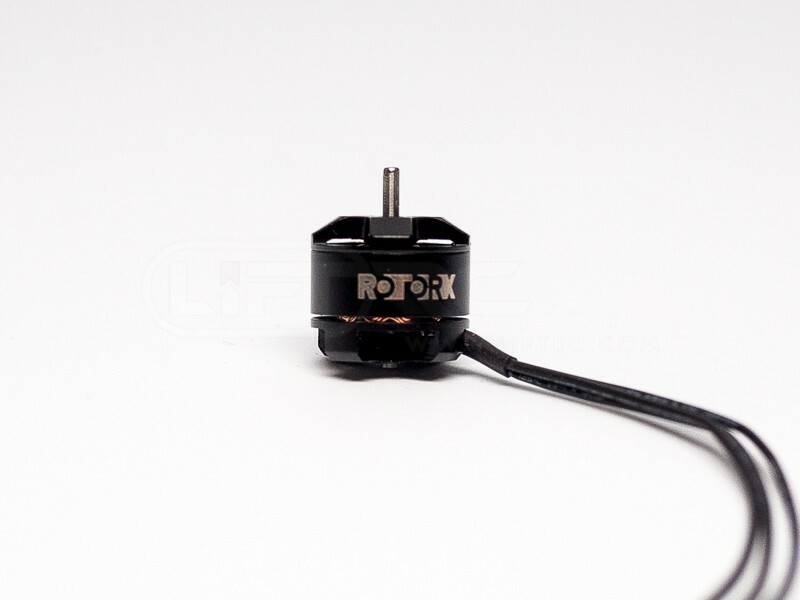 Perhaps most importantly, these micro motors are designed to survive even the hardest of crashes, allowing you to stay in the air longer and have less replacement costs.